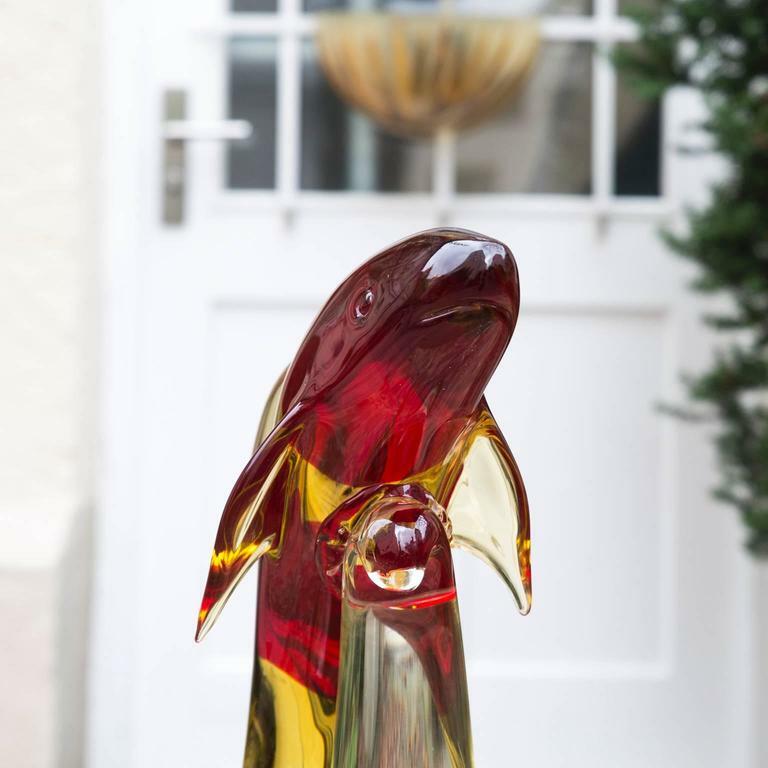 Very huge Murano glass dolphin sculpture, Italy 1970. 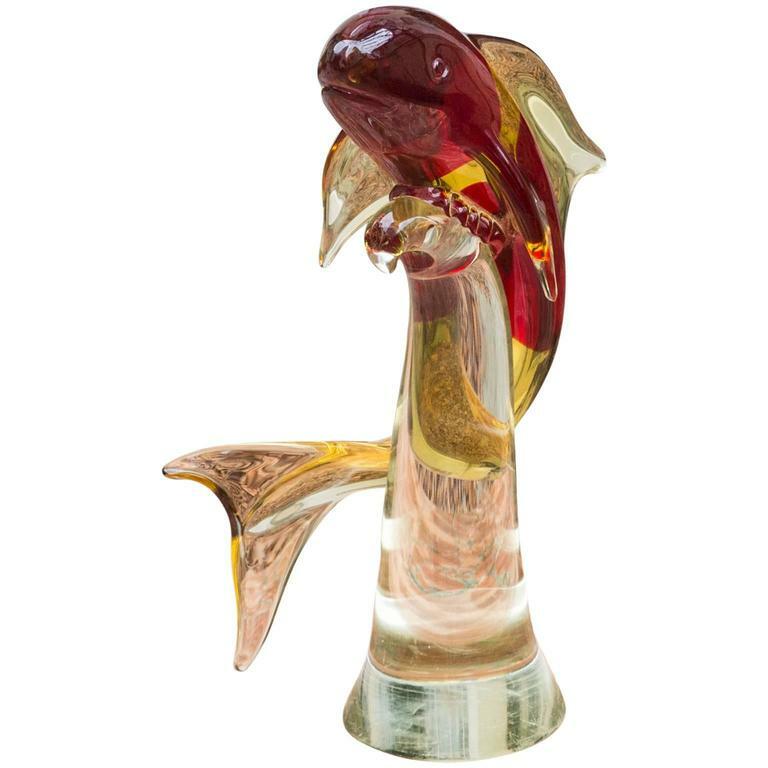 Very cute Murano glass squirrel object made by Seguso in Italy in the 1970s. 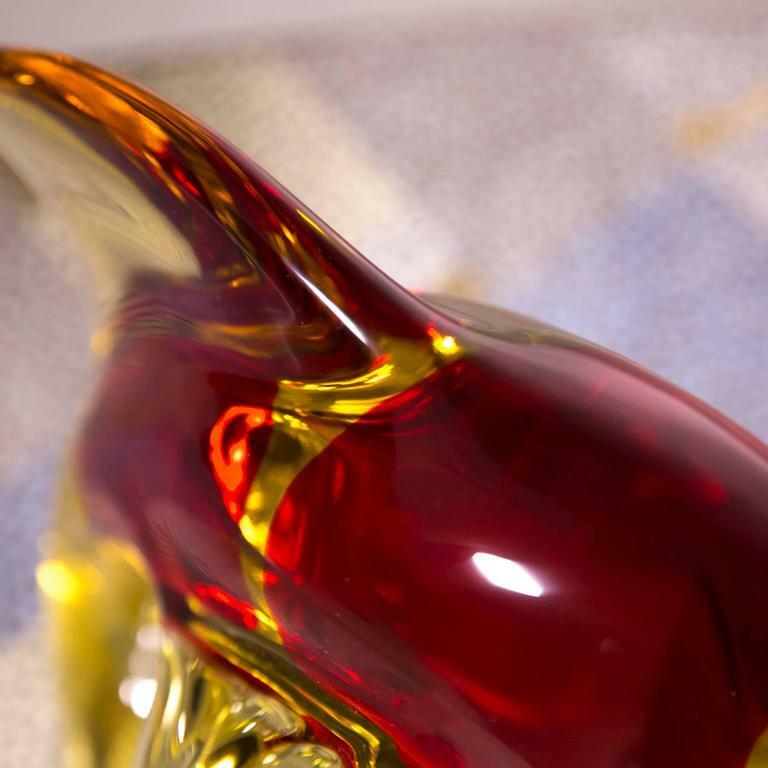 Clear glass, iridescent strong and a small white glass nut in the hand. 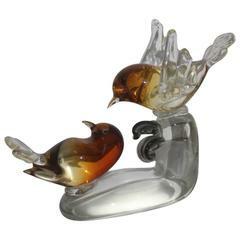 Two beautiful Murano glass ducks signed by Barovier & Toso, Italy 1970s. 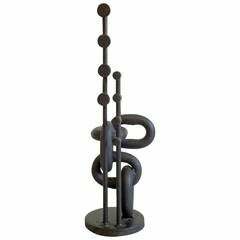 Measures: 12 H x 25 B x 9 D cm. 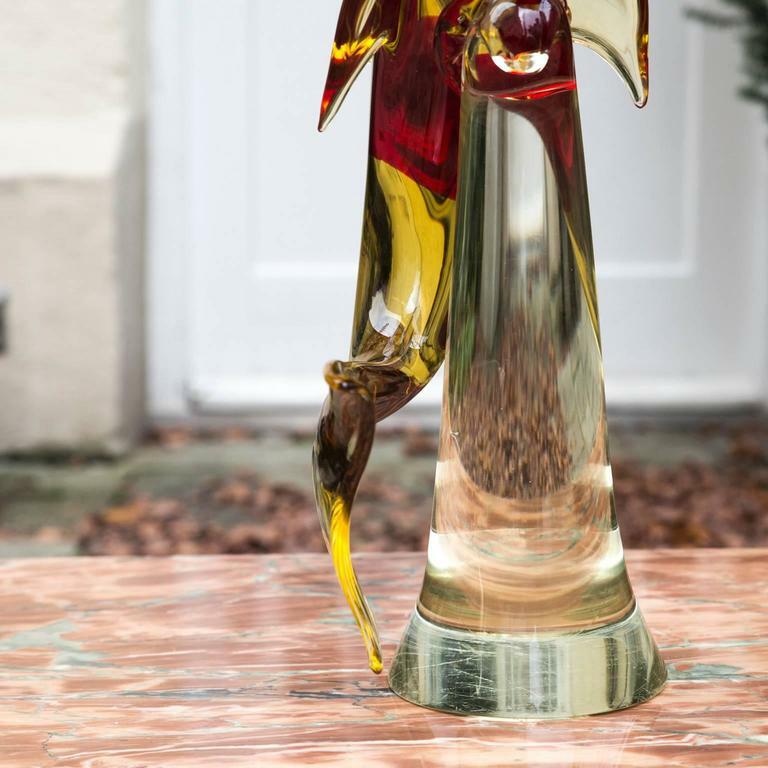 Huge version of Bruno Gambone knight ceramic sculpture bought directly from the Artist in 1980s, signed Gambone, Italy. Measures: 41 H x 26 B x 15 D cm. 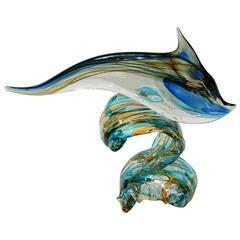 Murano opalescent translucent glass dolphin. 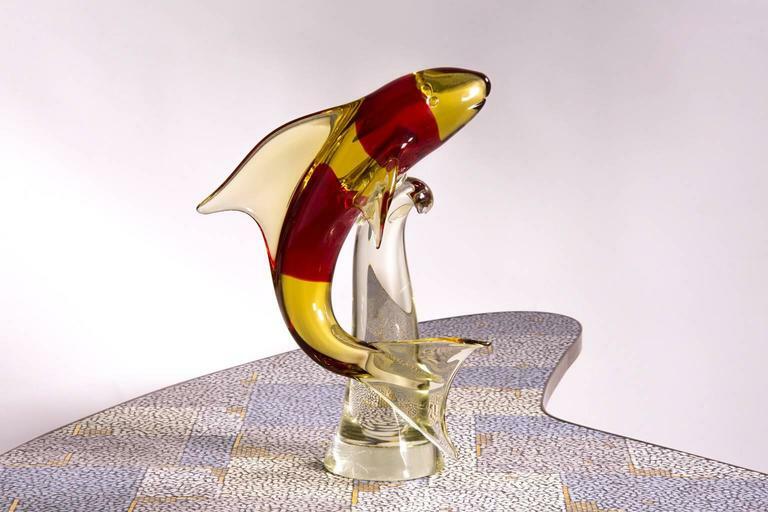 Blown glass, circa 1960s. 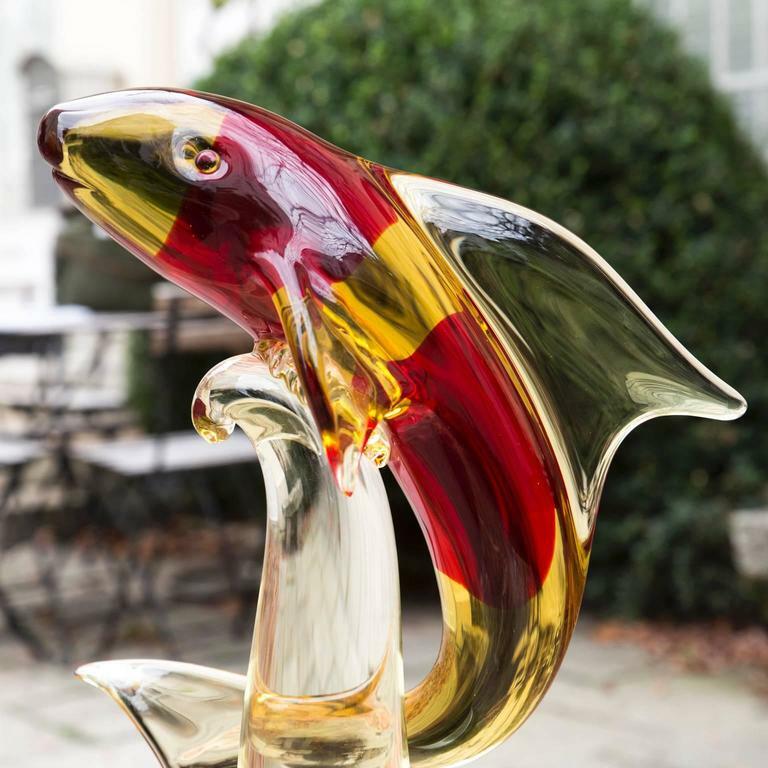 Italian Murano glass sculpture of a cat. Measures: Height 40 cm; Weight 3 kg. 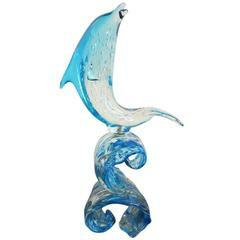 Murano art glass sculpture Seguso design.